NOV Chart for MonoMac & Xamarin.Mac is an advanced charting component, covering a vast feature set of charting types for presentational, business, scientific, financial, real-time monitoring, statistical and other types of applications. NOV Chart for MonoMac and Xamarin.Mac allows developers to quickly and easily add advanced charting capabilities to their Mac OS applications. 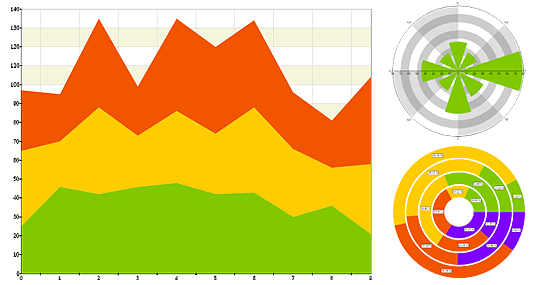 The Chart control is fully customizable and includes full set of charting types, advanced chart axes, scale breaks, zooming and scrolling, and much more. Charts are implemented as widgets, so you can easily embed them in your NOV based applications, rich text documents and reports.